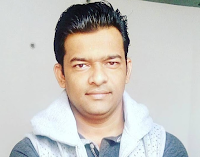 In this article, I would like to discuss Java Servlets and JSP online free and paid courses. These courses are available on Udemy with very less cost so you can check out once. I always prefer to purchase a Udemy course because the courses are very worthy and the cost is very less (around 10$). Before get started, you can check out my complete JSP tutorial at JSP Tutorial - Learn JSP with Examples. Here are best online free and pain Java Servlets and JSP courses. The purpose of this course is to teach fundamentals of Java web technologies to students and beginner web developers so that they learn the popular framework like Spring, Hibernate, and JSF in the future. In past, I have purchased this course and found very useful so I would like to suggest this course to beginners o learn basics of JSP, Servlet, and JDBC. Learn Servlets and JSP the Easy Way!